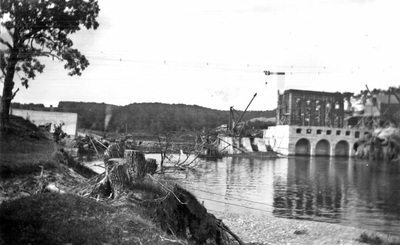 Reports on the development of a dam were heard by a committee in 1915. The committee was impressed and brought the matter of the city securing and developing this water power to the Rochester City Council. The council unanimously passed the necessary resolution calling for an election for the purpose of voting on a bond issue of $360 ,000 to secure the necessary land and flowage and erect and equip a modem water power plant that would generate electricity for the city. In 1916 an election took place and the bond issue carried by a wide margin. 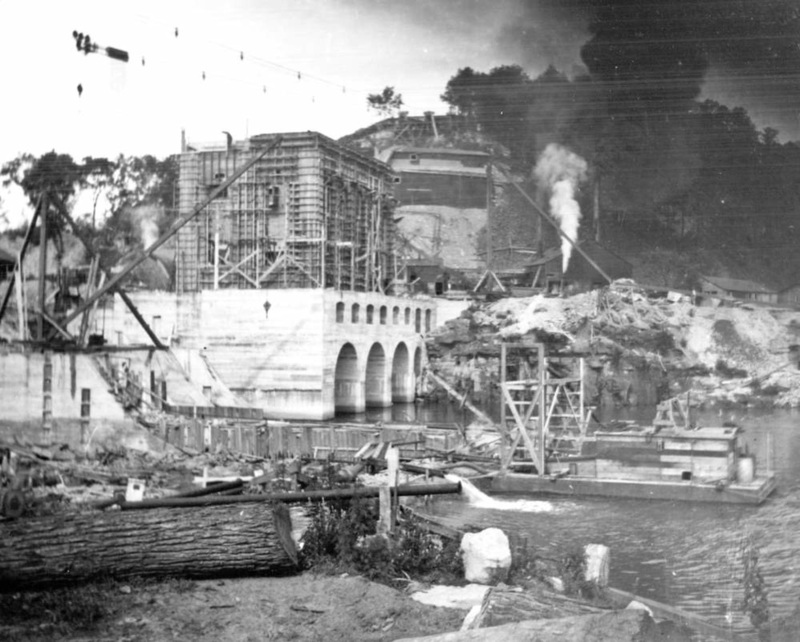 The construction of the dam was started in 1916. It was estimated that it would take two years to complete by because of WWI, it was not completed until 1919. The dam is a reinforced concrete, bulk-head type, build approximately 55 feet above the ordinary water level. It was to have an ini tial installation of two J ,000 horse power units and a third 1,000 horse power unit was to be installed at a later date. 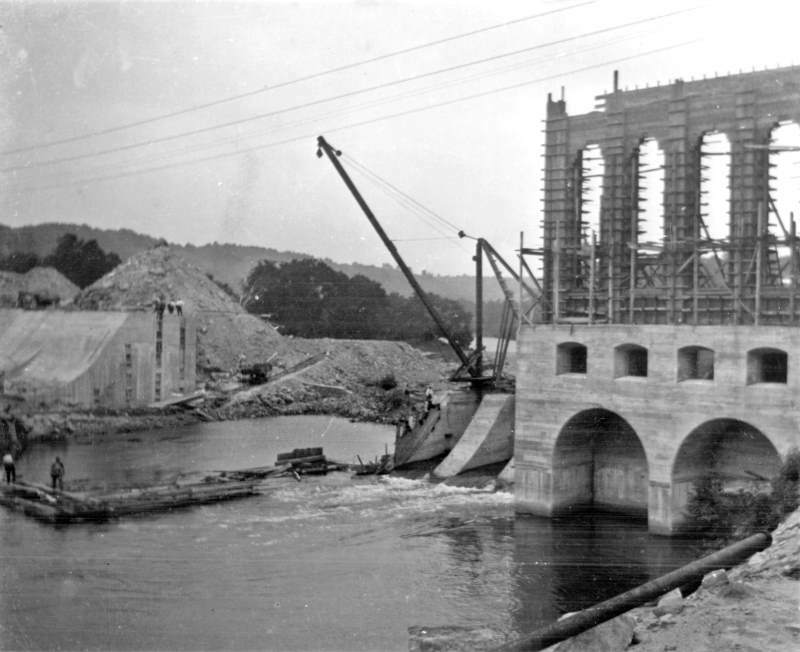 The dam was to create a lake 1 ,037 acres in area which would extend a distance of more than six miles up stream from the dam. The power dam was expected to produce approximately 6,000,000 kilowatt hours annually. 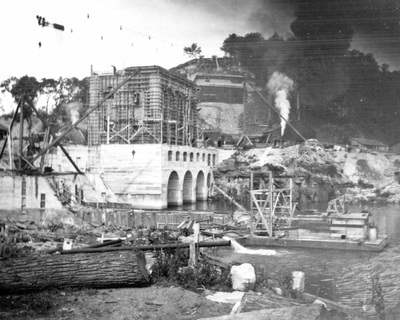 Materials and equipment to build and operate the dam were transported by the Chicago, Milwaukee & St. Paul Railroad to the station of Bright, which was located three and one-half miles southeast of Mazeppa. From there all materials were hauled by wagon train to the dam site.